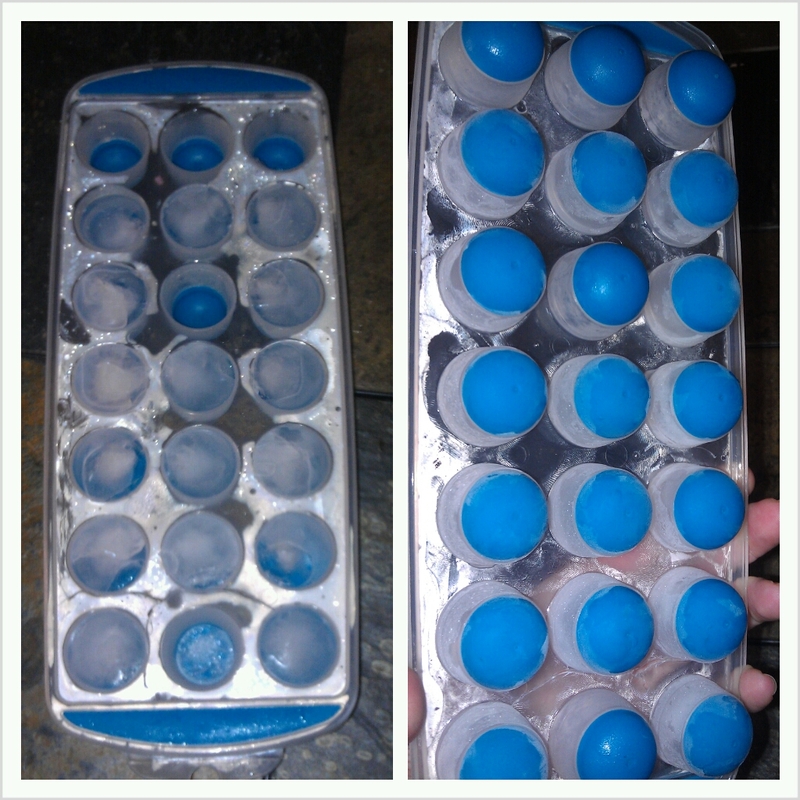 Easy push out ice-cube tray, with flexible rubber bottom. Sounds dreamy. Three little roundish ice cubes floating in my little whiskey glass makes for the perfect post waitressing cocktail. I picked up this little ice-cube tray at the grocery store, I’m not sure how much I spent on it but it was too much. The ice does not pop out. The rubber on the bottom is not flexible once the water is frozen into ice. I have cracked the tray trying to get the cubes out. I bang it on the counter and nothing happens. I throw it in the floor and nothing happens. A piece or two at most will come out eventually, but that’s it. The only way to get the ice out of this tray is to turn the water on until it’s warm to hot and then run it over the rubber part for a few seconds. Then the ice will come out perfectly. Ridiculous. The only way this ice-cube tray might work is if you first coated with a non-stick spray. I haven’t tried this so I do not know if it actually works, please feel free to let me know. I hate this ice-cube tray, I hate it. Yet, I refuse to throw it away.